﻿ Lub Sbuy Hostel, Phuket | FROM $6 - SAVE ON AGODA! "It's a nice place for the money, comfy bed, amenities and cl..."
Have a question for Lub Sbuy Hostel? "Very nice hotel and clean hotel." "1 minute walk to 7-11 convenient store." "The guesthouse and staff were nice." Have the vacation you've always dreamed of at the Lub Sbuy Hostel. The rooms here overlook the city, giving you a glimpse of the lively city roads. 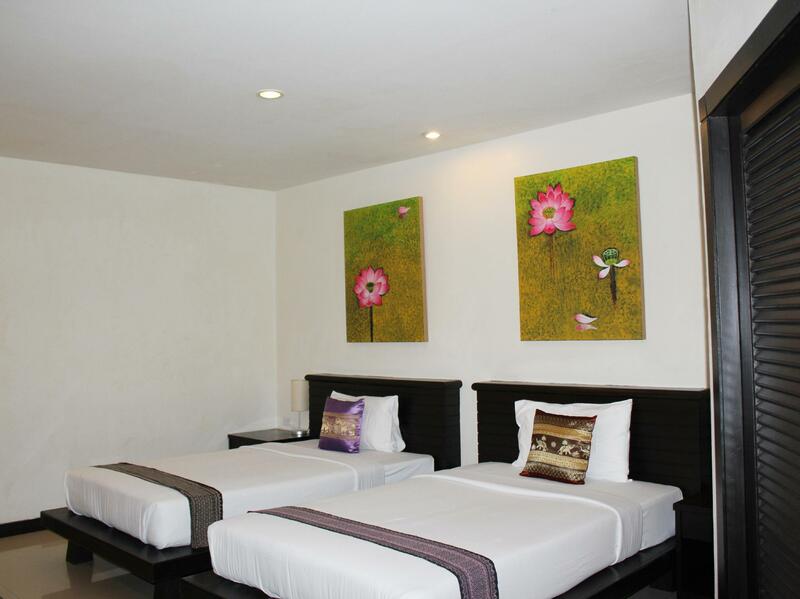 The hostel is close to Phuket Trickeye Museum, Phuket Square, Phen Sri Expo Fair, Dragon Gym Taekwondo Phuket, and Phuket Philatelic Museum. It has various convenient features, such as a smoking area, a laundromat, and safety deposit boxes. To make your stay truly relaxing, you can take a short break from your other activities and pamper yourself for a few hours with a massage. Offering guided tours, the Lub Sbuy Hostel is a great spot to stay to learn about the area. This hostel features a bar and room service, so there is a range of dining and snacking options. The Lub Sbuy Hostel has Wi-Fi in common areas, ensuring that visitors are able to save money on data costs while staying connected to their friends and family at home. 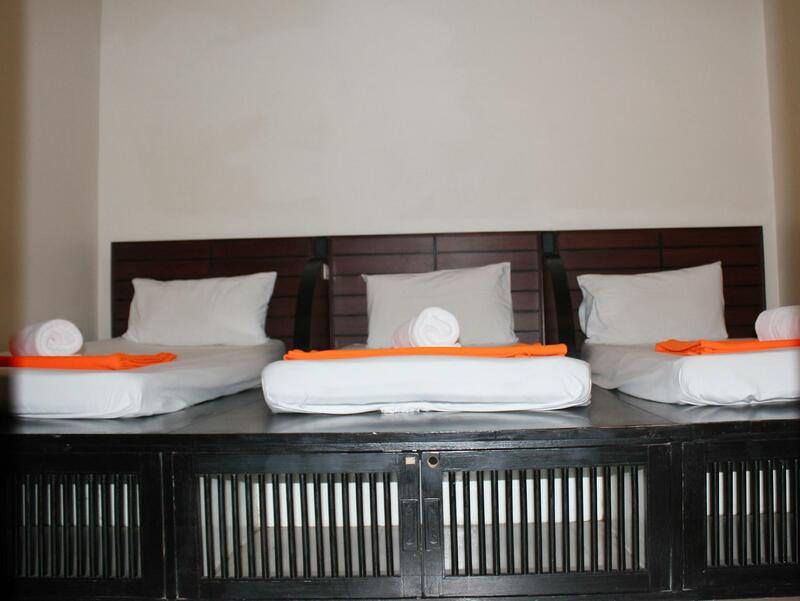 All of the rooms have air conditioning, a shower, linens, towels, and a wake-up service. From a concierge to luggage storage, the Lub Sbuy Hostel offers a number of useful services that guests can take advantage of throughout their stay. The front desk is open at all hours, so there will always be a member of staff behind the desk to assist you. This hostel accommodates pets, so you can explore your new surroundings with your pet by your side. The Lub Sbuy Hostel provides an assortment of transportation options, such as airport transfers, shuttle services, bicycle rentals, car rentals, and taxi services. Phuket Bus Terminal 2 is close by, so you can get anywhere you need with ease. The nearest airports are Phuket International Airport (HKT) and Krabi International Airport (KBV), which are situated 26.8 km and 68.3 km away. The Lub Sbuy Hostel provides express and private check in and check out, allowing you to conveniently choose the service that best suits you. "Overall, it was a great experience." i booked a 4 bed dorm. when i checked in i was moved to a 6 bed dorm the reason given was that the room i booked had a faulty air con. Guess what the room i was given also had faulty ac. Just air blowing out not cold at all. Reflected this to the recep she did not seem happy. Could not sleep well whole night sweating n room did not have a fan. Recep lady is helpful with other enquiries n directions though. Would be perfect except for the ac. Close to the airport bus stop, this room had no windows and there were no lifts but the staff were helpful and the room was tidy. 200 baht deposit. 10 min walk to a food night market. Close to 24hr convenience store. 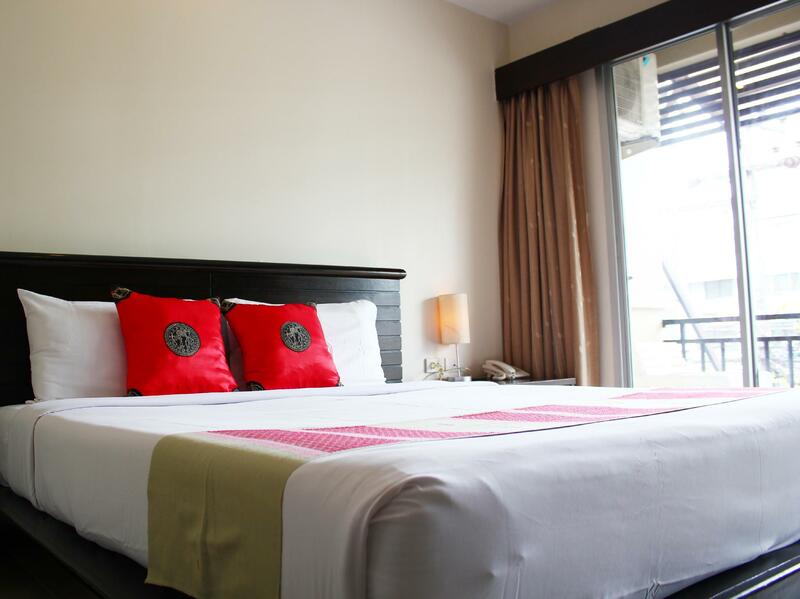 Located in Phuket Town which is quieter than the beaches. Most of the rooms are 2-4 floor. Might be a hassle if you have a heavy suitcase like I did. My room supposed to be on the 3rd floor , but seeing my staff they changed it to 2nd floor. There are NO rooms at 1st floor. Free coffee and bananas for breakfast, always friendly reception staff, 200 baht key deposit is required. Perfect to stay if you need bus station the day after-it is 50 meters away. Not too much to see at Phuket Town itself for tourists. The AC unit in this room compared to room 201 was much better. It kept the room nice and cool and made very little noise. This room faces the street so there is noise from traffic. It also got a lot of noise from the bar/club next door. The bass music finally subsided around 2AM. It's a nice place for the money, comfy bed, amenities and clean. Plenty of room for me. I will go back there to stay next time in in Phuket Town. It's quite a nice hotel, modern and very clean. The location was great for me because I was using the buses for travel. Terminal 1 is like a 5 minute walk and the 'beach route 'bus station at the town market is like a 10 minute walk. 7/11 is close by. Wifi is not great so I just used my data. The air conditioner in this room (201) did not keep it very cool even with the temp set at 18*C and fan set on high. Also, it was very noisey - it sounded like a wind storm. This room is facing the the street so there is quite a bit of noise from the traffic. The staff is friendly but I will say they ask a lot of questions upon checking in - I've been asked less questions at some of my border crossings. Comfy bed, nice bedding everything in the room was pretty nice. We stayed only for a night as a stop over to our next destination. The room is surprisingly clean and comfortable. Toilet is clean and new. Plenty of wall plugs in the room if you need to charge your electronics. Even though our room is on the 1st level, it was quiet at night, so we slept peacefully. The Phuket bus terminal is just behind the hotel, so is convenient if you plan to take any buses from here. It is also a walking distance to the Eye Trick Museum, which was fun for us and kept us dry from the heavy rain on the day we arrived. Will definitely come back here to stay when we are at Phuket town. Very nice hotel and clean hotel. The new receptions staff (male) are very rude and not friendly at all when we trying to upgrade room. One of the best hostels I've ever stayed in! Very clean & friendly staff that will always try and help with anything. It was my third time coming back to this place! Highly recommended. First timer Pros: 1) It is right opposite to the bus terminal and there are an array of amendities 2) friendly and helpful staff - speedy check in and replaced a fifth my pillow immediately when asked. Cons: 1) the air con didn't work that well. There were at times very warm. 2). This place is situated on Phagna Road which has heavy traffic. My room faces to the main road (Room 201). Rather noisy at night. Try to book room 205 or 305 which faces an ally but also have a terrace with plants. Overall, it was a great experience. I would recommend this place. We were only staying in Phuket main town for one night before we got the ferry to phi phi. We wanted something cheap and cheerful. This place is spot on. Staff are lovely and very helpful, owner dropped us to ferry next morning. Unfortunately the town itself is run down with not much to do. Great location for walking to old town, stamp museum, trick-eye museum, and Thaihua museum. Lots of restaurants west and south of hotel. If you end up arriving at the new bus station (#2), just grab the pink shuttle for 10b. It will drop you on Phang-Nga. Look for the 7-11 on the other side of the street. The hotel is just a few steps east of the 7-11. I had a large private room with a fantastic hot water rainfall shower with a shower curtain. I loved the in-room safe, the hang-up closet, and the small balcony, even though it looks out on nothing of interest. If you have laundry and want it done by weight, go east to Surin, then turn left, head north to SoiSurin 1 and turn right. On the left side about a half-block is a laundry. the hotel near the bus station, the services is very good, the facility are very new and warm. although the room not very big, and there is not much food or restaurant. 2 minutes walk from Guest House to bus terminal. 1 minute walk to 7-11 convenient store. Able to take the mini bus and straightaway go to airport. It only costs 100 bahts and reached airport within 1 hour. This is more valuable and able to save money. 15 minutes walk from Guest House to local beach bus stop at Ranong Road which can take you to wherever beaches you want. You can check the price online. (My friend and me spend 35 bahts per person to Kuta Beach) Highly recommend to those travelers who want to have a short vacation at Phuket. Rooms were clean, new, spacious with nice flat panel tv, fridge and safe. Room was great. WiFi was sporadic and did not always work. I was on the 2nd floor. There is no lift so I'm glad I wasn't higher up. There is also a Lub Sbuy Guest Hotel nearby so don't get them confused. Guest house has no food (plenty of complimentary water though). Restaurant next door was great, but closed for holiday my last 2 days and not many good choices nearby. A 10 or 15 minute walk would get us where we had more food and drink choices. It was a great room with nice helpful staff. I would probably stay in a different part of town next time unless I was planning on using local buses to the beach areas, which were around the corner. We stated there 2 nights. First air-con in room 101 was not working then changed room much better anyway it's cheap and good location.